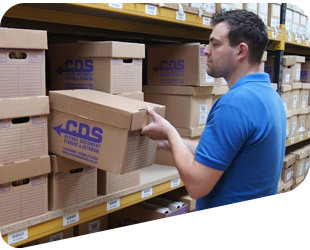 With 2 highly secure records centres just off the A21 in Kent, CDS is ideally situated to manage the off-site archive storage and retrieval needs of companies in Kent, London, Sussex and Surrey. We have over 17 years’ archive management experience and the barcode tracking system we utilise has enabled us to track every item in our care with 100% accuracy and we continue to deliver on time, every time. Regular DBS disclosures are attained for all operations staff to comply with ongoing local and central government contracts and all are vetted to BS7858 standard. CDS is a registered data processor with the government’s Information Commissioner. CDS owns and maintains its fleet of vehicles and delivers to companies in London, Kent, Sussex and Surrey.